We had another guest from Ohio yesterday (10/6) who requested a Nature Tour so needless to say (but we will anyway) we put Redline Guide and Naturalist Liz Wyman on it. Originally our guest, Laura, wanted to head up to Mt Washington. 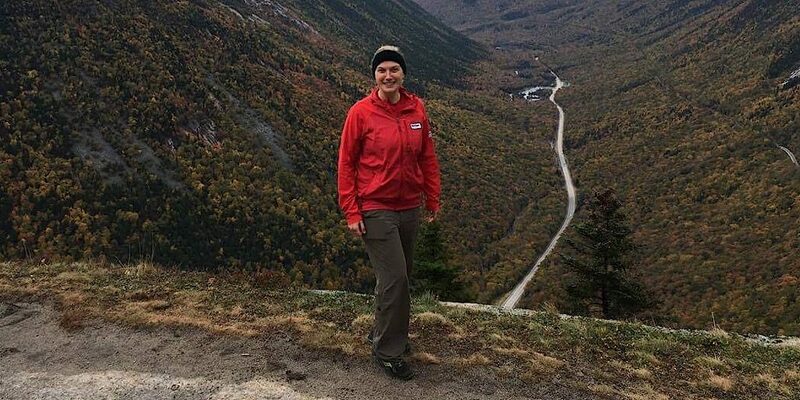 She was hoping to drive up then hike to the Lakes of the Clouds hut and back, being informed about the alpine flora and area’s history along the way. Being from Ohio, however, she wasn’t positive about how well she would be on her feet, so when the forecast called for strong winds, it was time for a backup plan. We’ll call it plan ‘B’ of course. 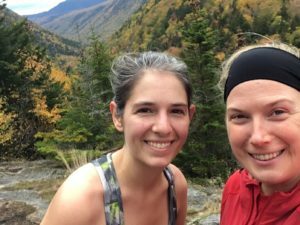 Liz chose Mt Willard at 2865-feet. Its sheltered summit would offer fine views without compromising Laura’s footing with errant gusts. Conditions ended up being so calm, in fact, they were able to easily eat lunch on the open ledges. The smiles say it all, as it appears they are both having a great time. Liz offered the following synopsis which also reveals other treats of the day and further exploration to the aptly-named Elephant Head Rock on the other side of the notch. 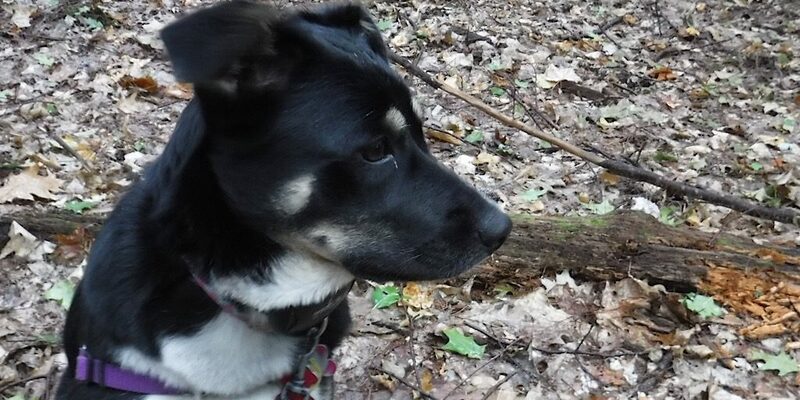 Hopefully Laura will come back to us for another hike or some continued training. In any case, well done on the summit. 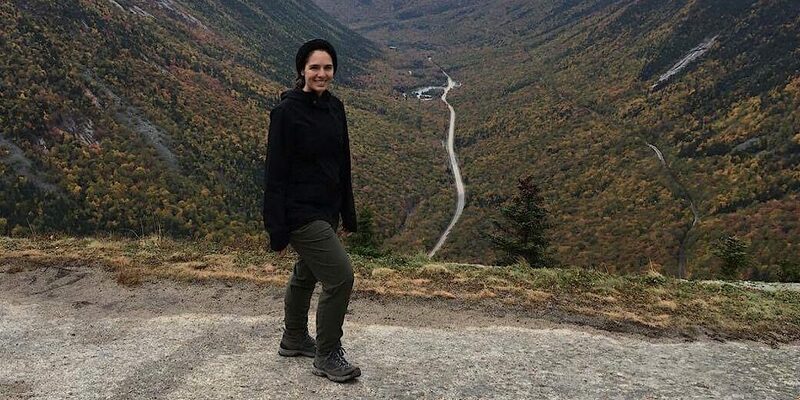 Laura enjoys the fine views of Crawford Notch. 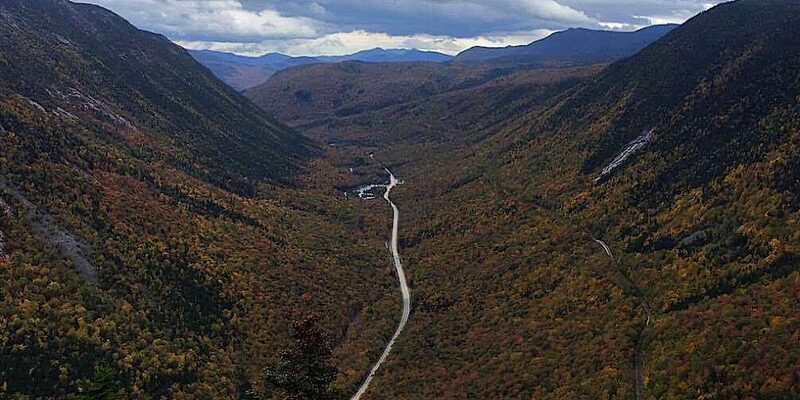 Beautiful Crawford Notch as seen from Mt Willard. Baxter, below — Liz’s dog — couldn’t come inside our place. The cat said NO. We went out instead. We had many walks. Redline Guiding offers free daycare for its guides?! Meet Baxter.